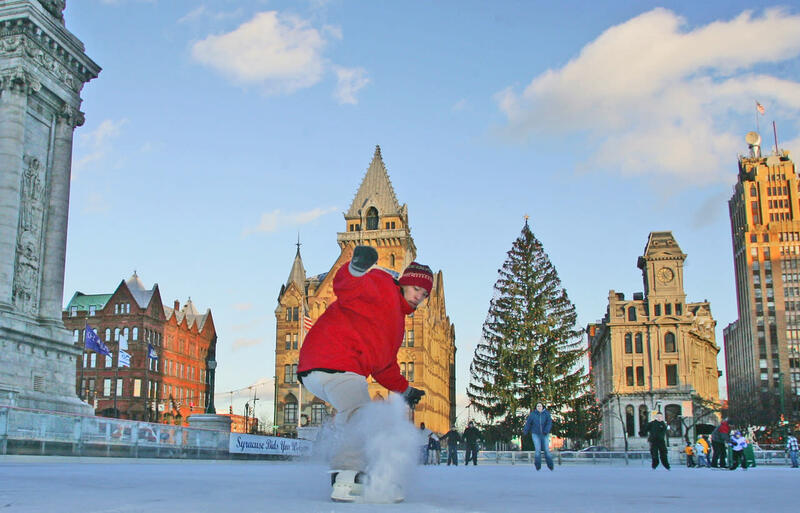 Located in the heart of downtown Syracuse, the Clinton Square Ice Rink is one of the city's most popular destinations. 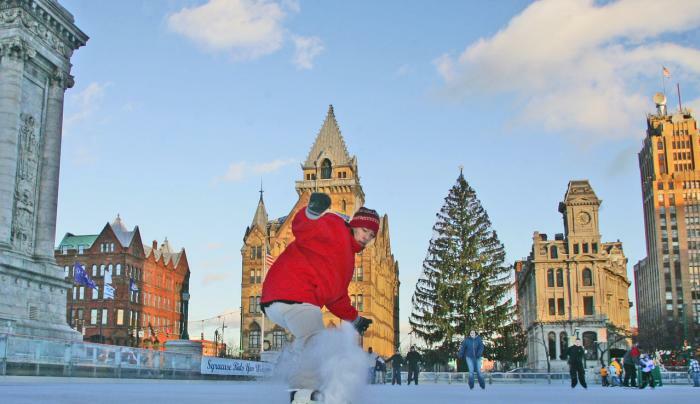 Opening in 2001 as part of a complete renovation of the Square, Clinton Square's rink experiences more than 20,000 skaters each season. Enjoy this urban, open air facility during skating season which begins the last week of November and runs until mid-March. The rink is open weather permitting, so please call in advance. All youth 12 and under must be accompanied by a parent/guardian.